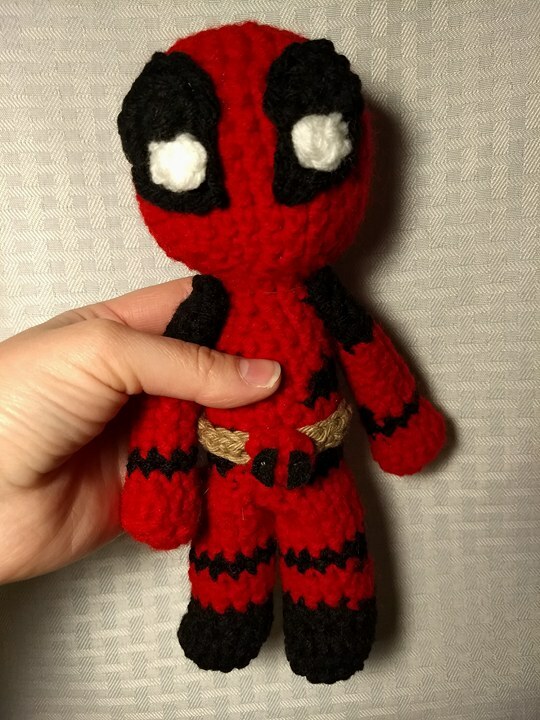 Someone at work wanted a Deadpool! 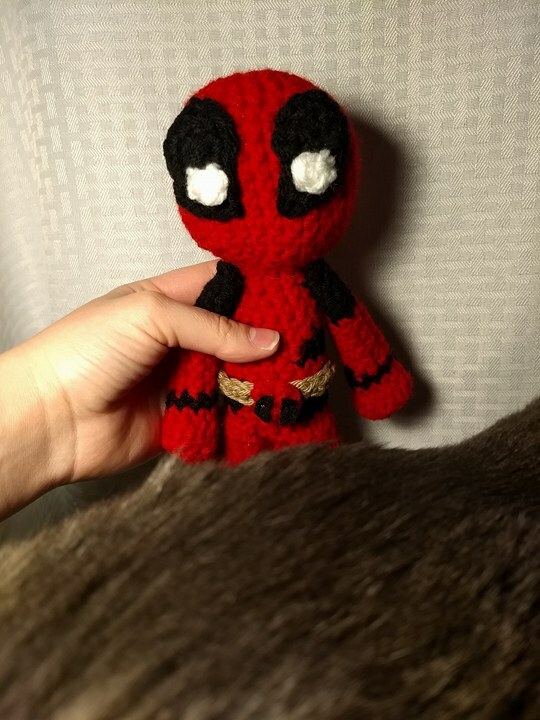 So here’s a Deadpool. I regret not getting more plentiful and more quality pictures of this one, but I was rushed for time on that day. 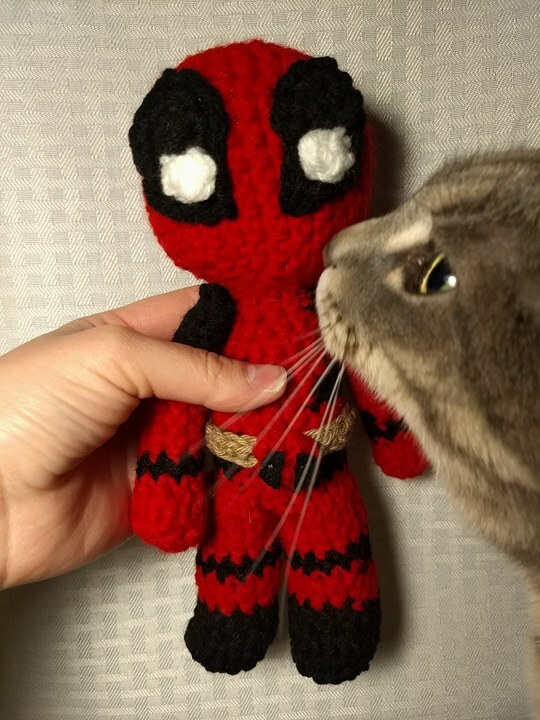 At least my cat liked it!